The BaltCityPrevention project aims at bringing the health IT SMEs and public health authorities together and strengthening their collaboration. 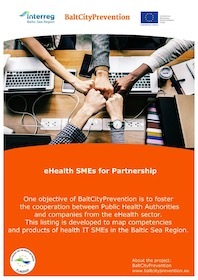 To strengthen the collaboration the BaltCityPrevention – project has created an eHealth SMEs for Partnership –catalogue. 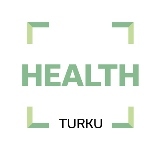 This catalogue provides information on the products and services of the SMEs operating in the field of eHealth in the Baltic Sea region. 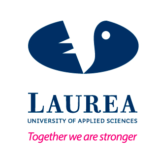 The idea is to help both SMEs and public health authorities to find suitable contacts and partners for cooperation. 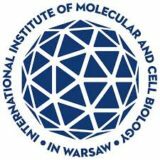 The catalogue will be updated regularly and we are looking for new companies to join, so please feel free to contact us for more information.